Hello people, have I got a treat for you this Easter Friday! This has to be hands down my best find, ever! Now I may be way behind on this but i'm literally in love! Now, I love handbags but i'm quite a budget kinda girl so I hardly ever splash out on nice bags. As most people i really want a Cambridge satchel but i'll keep dreaming, however I have found this site which does such lovely dupes for so so so cheap! La Moda I urge you to go and have a look when you've finished reading this obviously haha! With the prices being so cheap you might think there will be a hefty P&P charge but postage to the UK is free! I'm literally giddy with happiness at this discovery. I am definitely going to order one when pay day arrives! 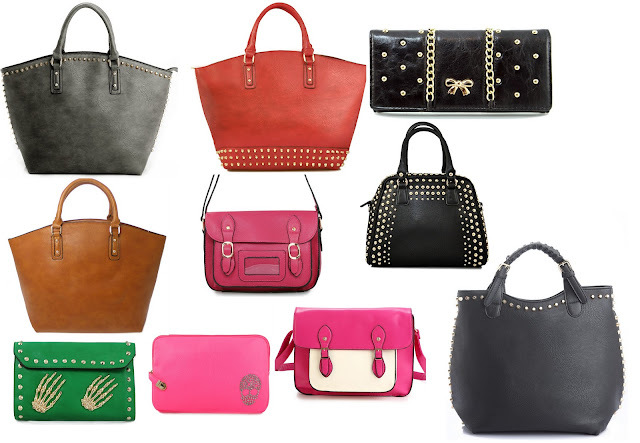 Scrap that, I made this post on Tuesday and since then I've already ordered the pink satchel :) and it has already come! You can also get 20% off with the cod e NEW20. Which is your favourite? I always see people talk about this site and I've never actually checked it out as I assumed it was expensive! !